Welcome to the Cedargrove Elementary School website. Cedargrove is nestled in the heart of Charter Oak Unified School District. We are the largest of five elementary schools, and we serve approximately 725 transitional kindergarten through sixth grade students. Educating our students for the 21st century is a challenge we enthusiastically undertake daily. Our goal, utilizing the Common Core State Standards, is to provide all students with the necessary tools to achieve academic excellence along with college and career readiness. We seek to build the foundation of the 21st century learning skills of collaboration, communication, creativity and critical thinking in each of our classrooms. To do this in meaningful and relevant ways for our students, technology is a major focus at Cedargrove. We have reached our goal of 1:1 student to computer ratio on our campus. Every student from kindergarten to 6th grade has their own computer available to use in their classroom each and every day. We are not just 1:1. We are now 1:World! With this technology, our students are no longer confined to the four walls of their classroom. 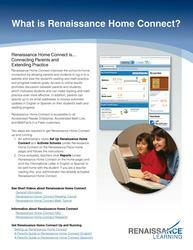 They are free to communicate, collaborate and gather information from around the world from their very own classroom. Our vision at Cedargrove is to be the number one school of choice in the San Gabriel Valley. We aim to do this by providing a rigorous, yet balanced approach to your child's education. We offer a fully integrated GATE program for qualified students and a comprehensive, campus wide positive behavior program, 'Be Golden!' Our staff and students seek to change their world one interaction at a time by treating each other the way that they would like to be treated. We have an active and vibrant PTA. In addition to this, we seek to provide opportunities for staff, students, and parents to connect as a learning community which supports us in our quest for excellence both inside and outside the classroom. Check your child's AR and AM progress. Students can also practice with Math Facts in a Flash, check to see if their books are AR with AR BookFinder, and/or complete an Accelerated Math assignment. The 2017-2018 Data Confirmation window opens on July 23, 2018.